Right from the inception of Apple iPhone, developers around the world are passionately working on to come up with the large innovative library of applications for several useful purposes. You would be surprised to know, that the number of iPhone apps available in the Apps mania is much more than any other smart phone Apps in the world. The aim of developer community is to provide the best user experience on iPhone for which it is popular for. One of the most used mobile applications around the world on any handset is the IM-Instant messaging, which is purely dedicated to bring people together in an easy communication environment where they can interact with their close ones or contacts, via messaging. It is normally seen that for accessing IM across the different type of network you usually have to install dedicated apps, this could be a tedious and also cumbersome. Instead of this IMO is a single application which is capable of providing a competent and user friendly platform where you can chat with your friends and contacts from Gtalk, Facebook, Skype, Yahoo, MSN, Myspace, Jabber and many more. 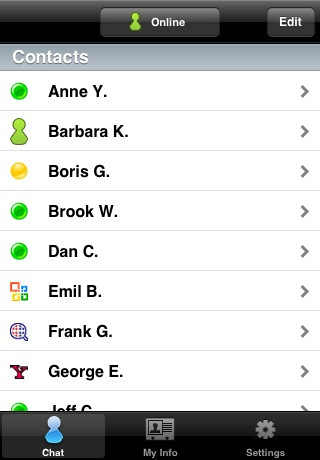 You can easily download the IMO instant messaging iOS app from this link. Palringo is yet another popular iOS application which supports various forms of instant messaging across various networks around the world. 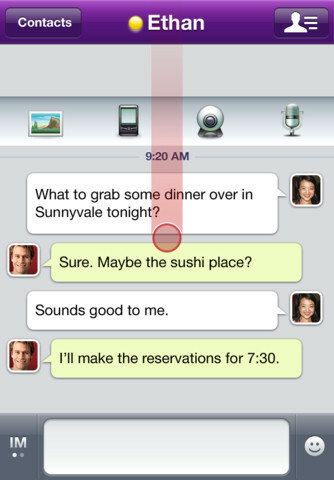 It provides additional support to free text messaging along with voice and picture. You can get the Palringo application from this link. 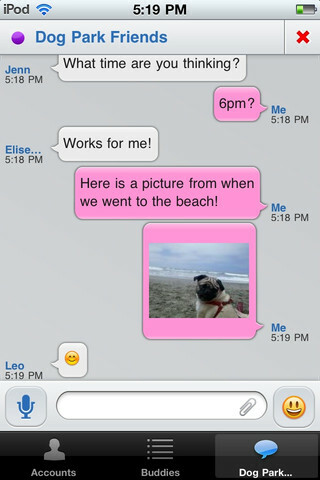 If you are addicted to chat on yahoo messaging desktop version and look for the iOS counterpart then equally competent instant messages tool for iOS is also available from Yahoo. The IM tool from Yahoo supports instant messaging, voice calls, video calling, sending free SMS messages and many more; you can visit this link for downloading the Yahoo Messenger App for iOS. 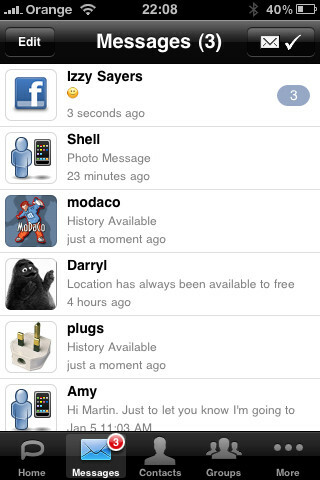 If you are looking for basic instant messaging capabilities coupled up with free SMS features then HeyWire can be the best application for your iOS device. The application is compatible to social networking platforms like Facebook chat, Gtalk and also allows you to send free text messages and tweets via SMS. 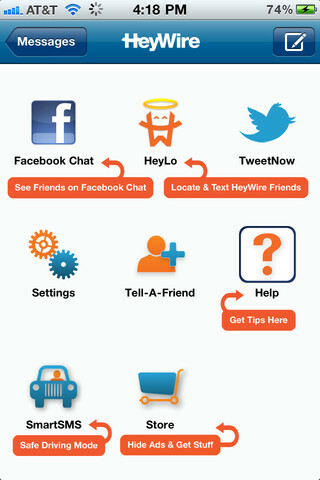 You can download the HeyWire from here. Fuze Messenger is best known for its additional SSL encryption which secures your conversation and support safe instant messaging across various types of network around the world. You can check out this app from here. Which iPhone app you are using for Text Messaging ?Let us know via comments below and Grab the best iPhone app from the above list.